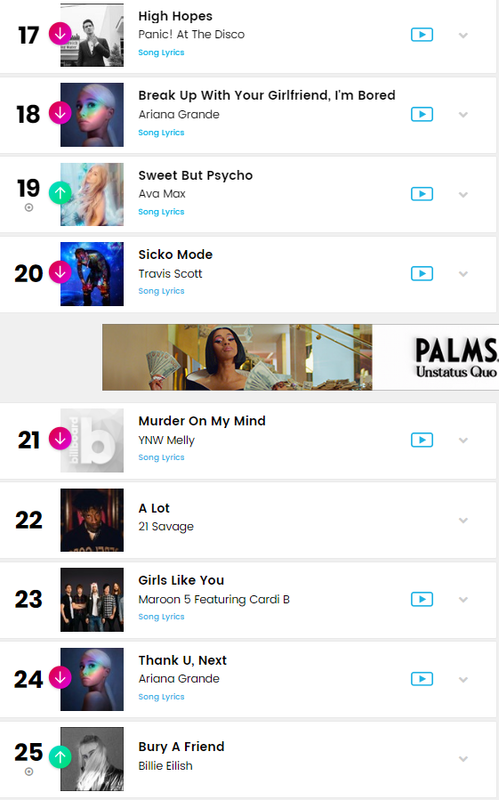 Not even a year after first laying claim to the record of ‘most concurrent charting singles on the Hot 100’ with her blockbuster debut album, ‘Invasion of Privacy’ (as we reported here), Grammy-winning rapstress Cardi B saw the title snatched from her thanks to the out-of-the-box success of relative newcomer Billie Eilish. Where’s Waldo Nicki tho? 10 years in the game and she’s not on the list! Gaga is there, Katy is there, Rihanna is there, Taylor is there, Adele is certainly there…Hell, Ke$ha is there! Just about every girl Waldo Nicki came up with is there! 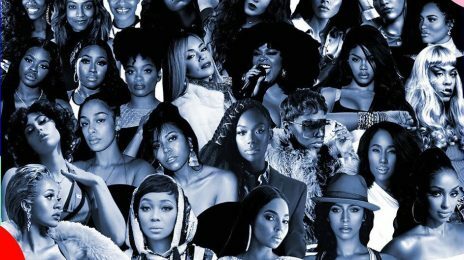 Now, Cardi is there…where’s your Queen? Did I miss her? Can you find her? 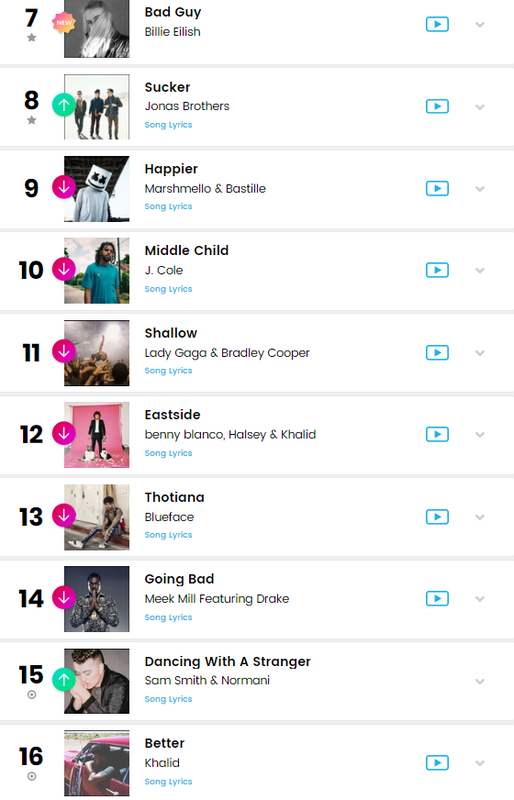 I knew you guys could no longer avoid acknowledging Billie Eilish’s left field chart breakthrough. Not since Lorde or Lana Del Rey has an alternative pop singer made this big of an impact seemingly overnight. More impressive for Eilish is that her numbers are even bigger. Her debut album is No.1 making her the youngest female artist since Demi Lovato in 2009 to enter at the top spot. She sold 170k in pure sales for a combined 313 SPS total. 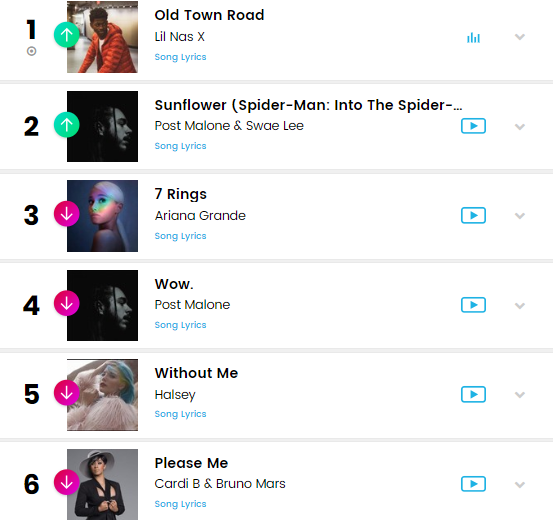 14 concurrent entries including a Top 10 with Bad Guy. This girl is going to be a massive unavoidable force in 2019. I would highly recommend giving her record a listen. She gives off a heavy Lorde/Lana vibe but with a darker hip hop influenced edge. Her music is pretty dope, but nothing compares to Born to Die by Lana. Summmertime sadness, Off to the Races, Dark Paradise, RADIO, national anthem, and Blue jeans alone will take many many years to outdo. Billie is still pretty new and let’s be real, she has famous family members who more likely than not helped her get to where she is. Agree 100 percent. Lana’s debut is far superior in sound, vision, and scope. I’m not comparing them to say which is better. I just simply wantedn to give context for ppl unfamiliar with her output to form an idea of what type of recent alt pop singers she reminded me of when I first listened to her music. “…at least Nicki put in 10 years before she started slipping…” -?? ?